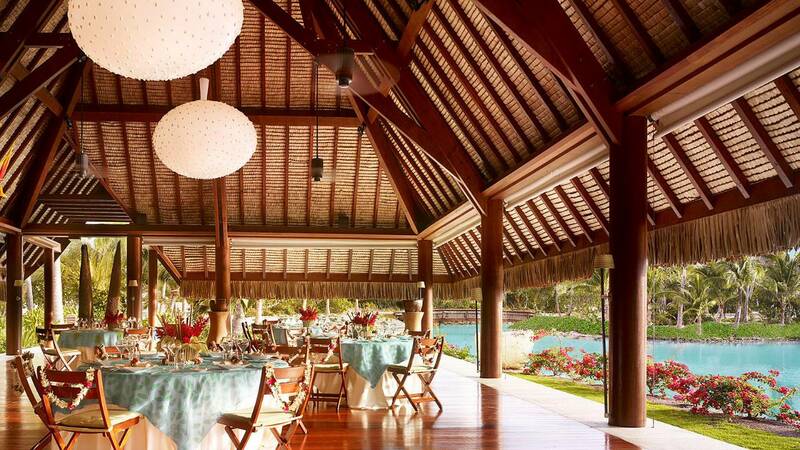 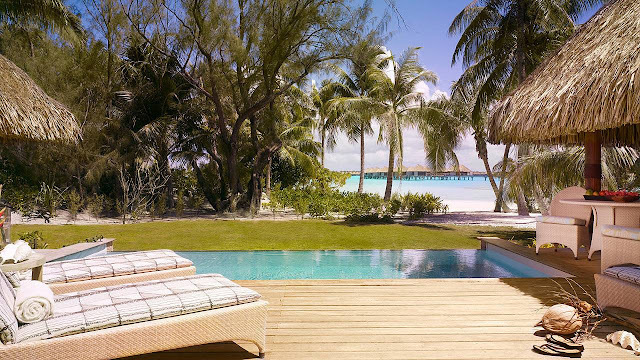 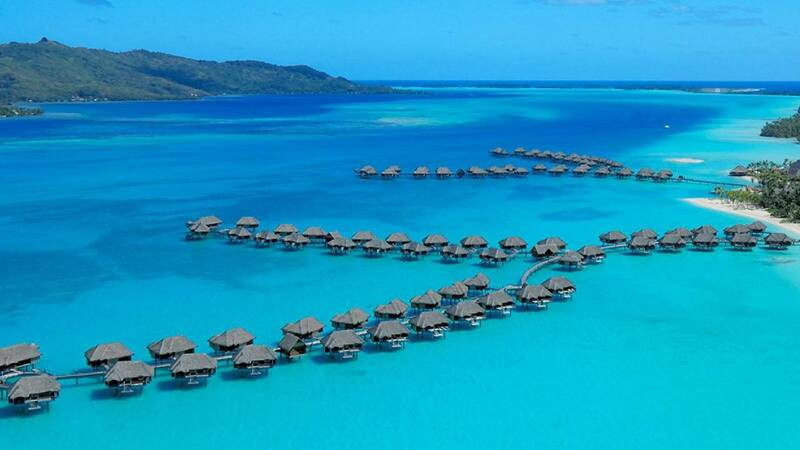 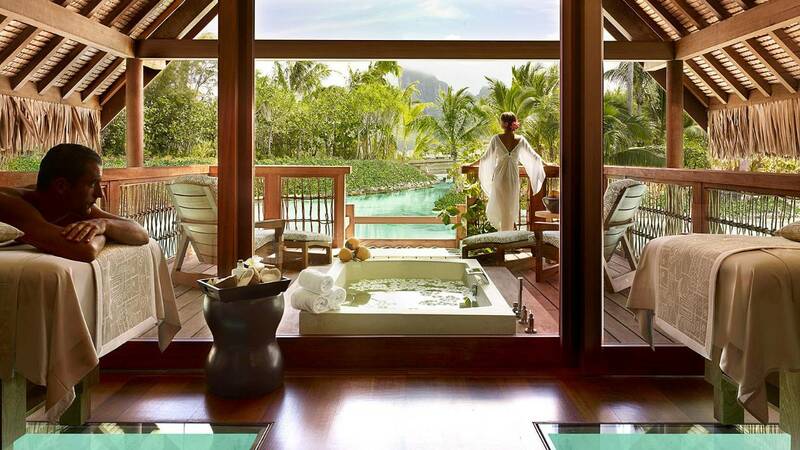 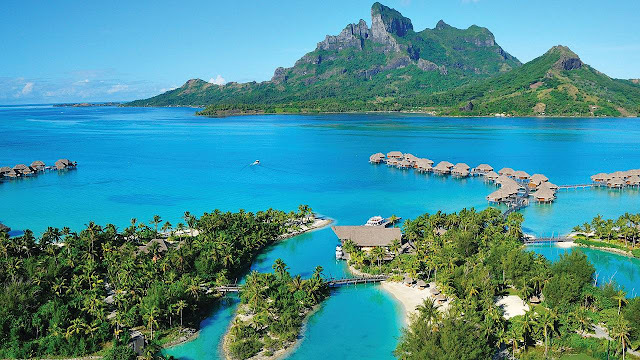 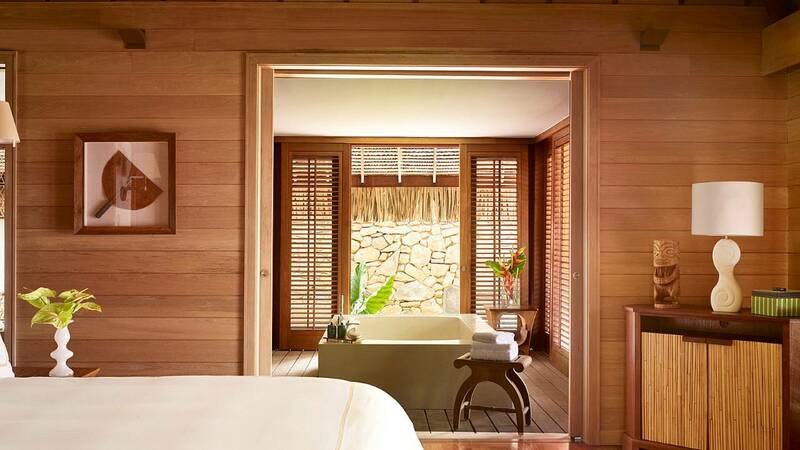 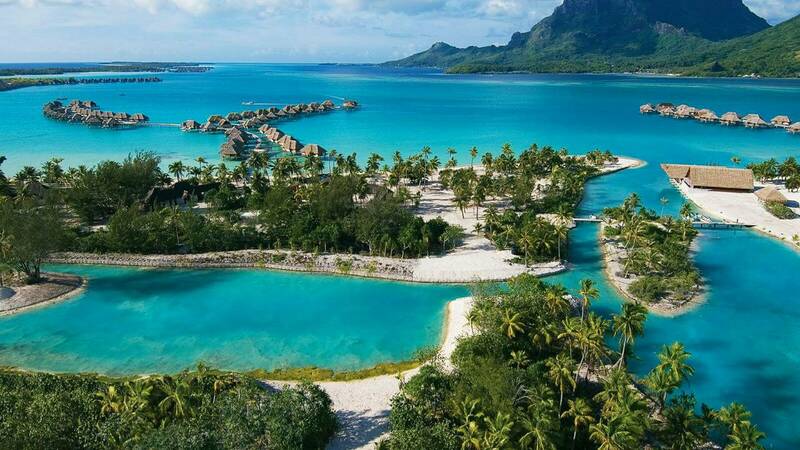 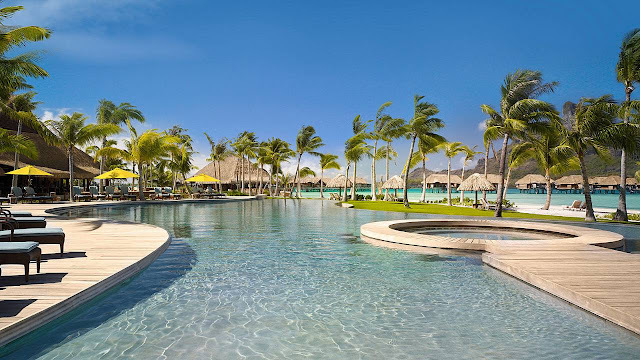 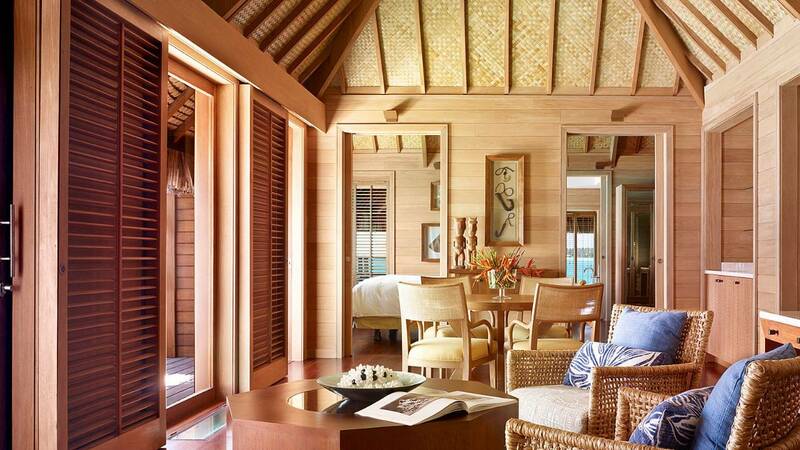 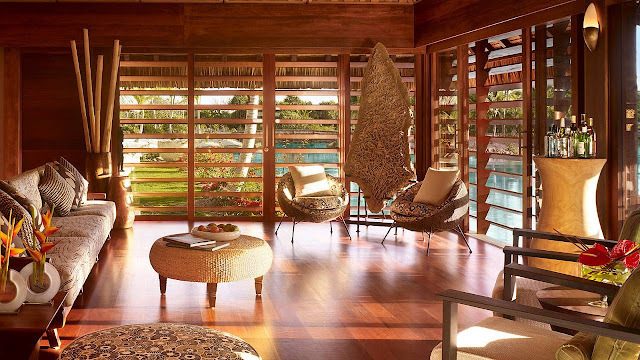 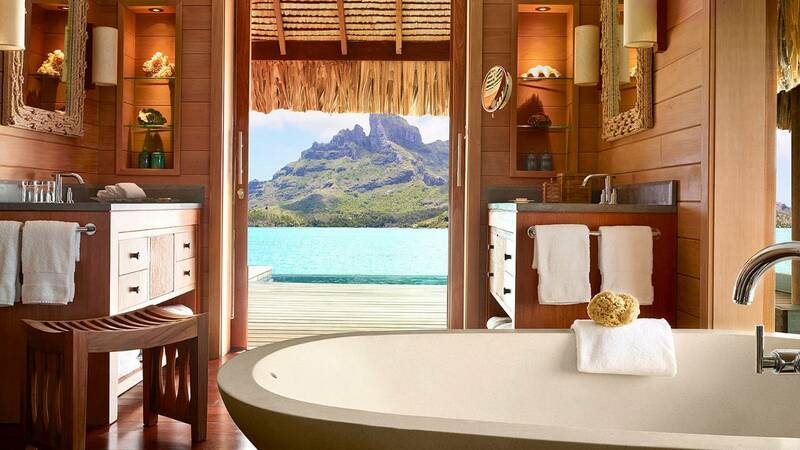 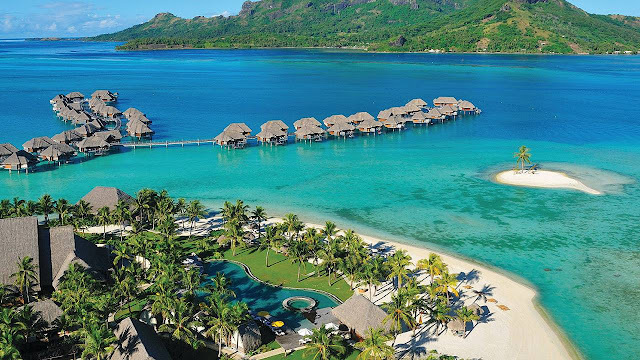 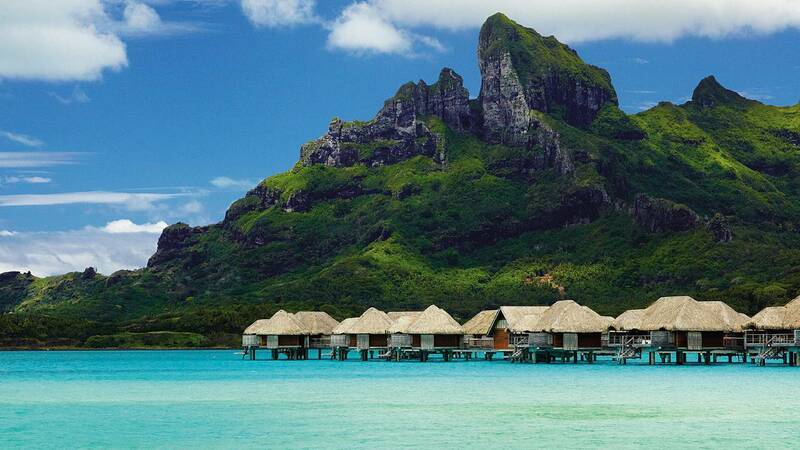 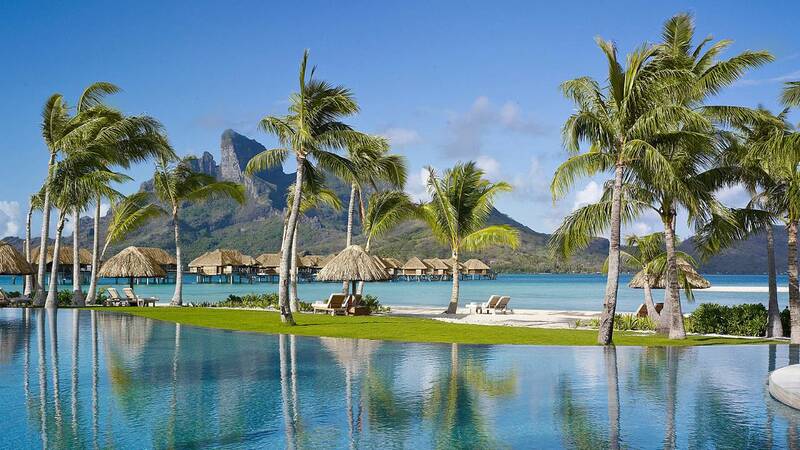 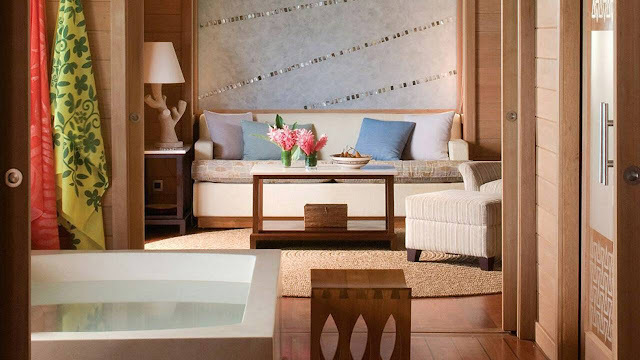 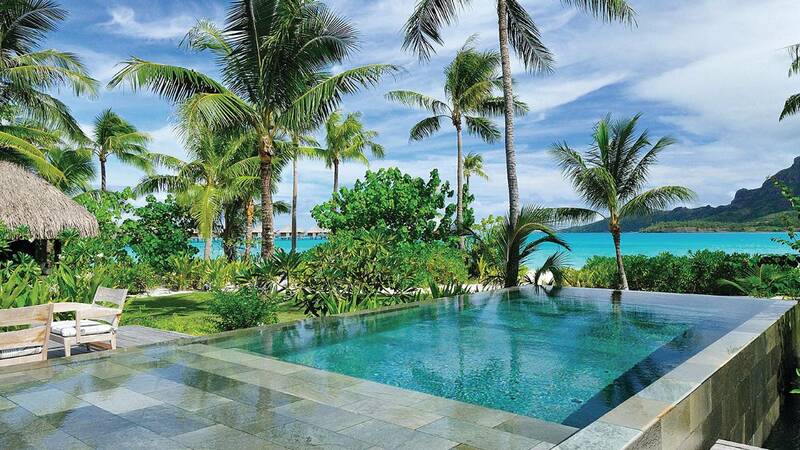 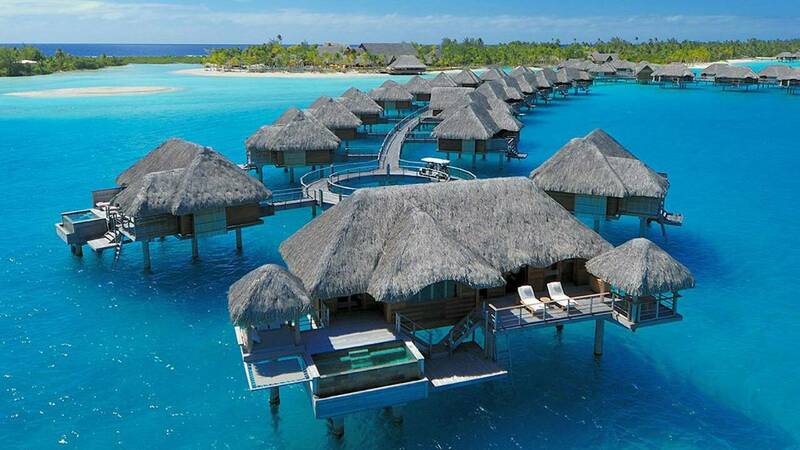 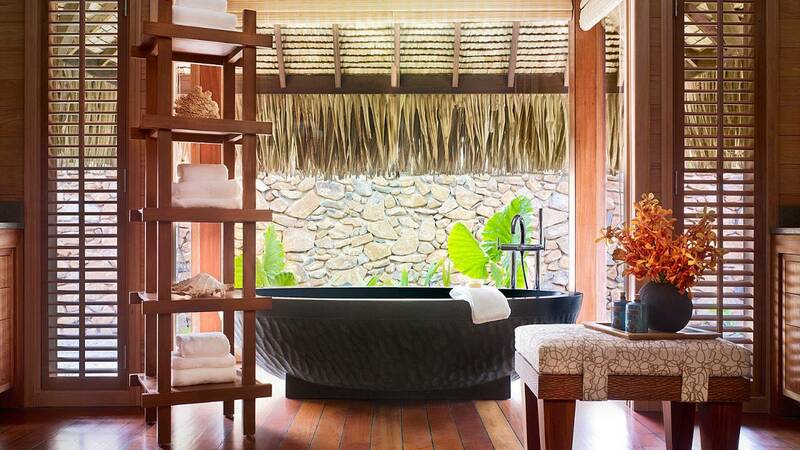 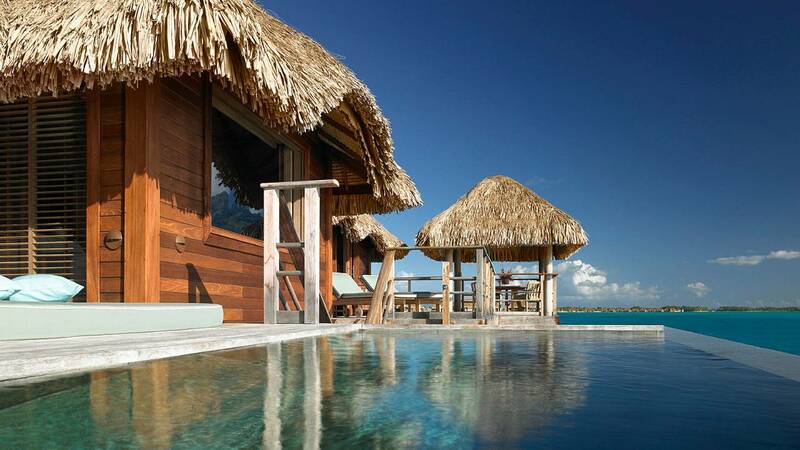 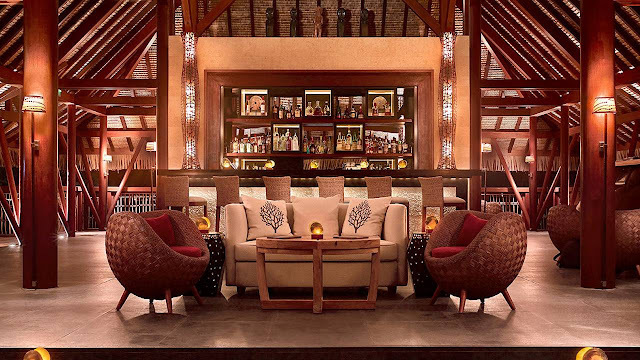 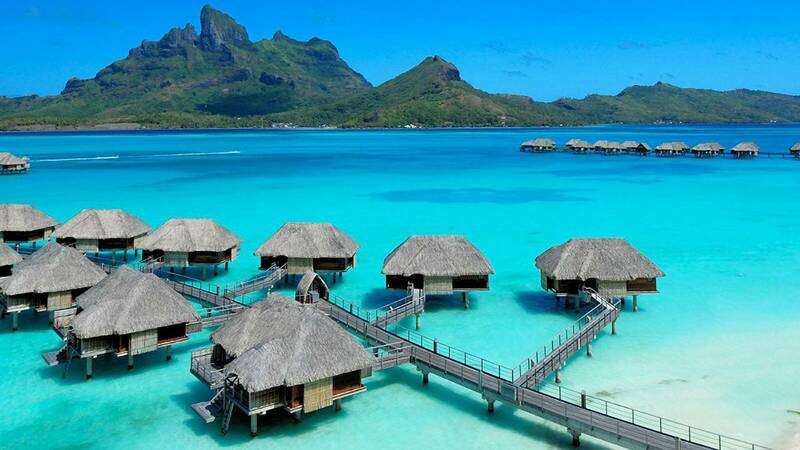 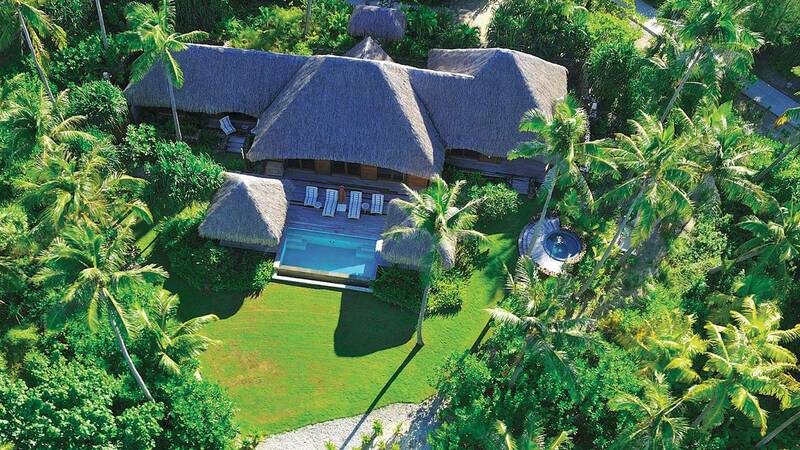 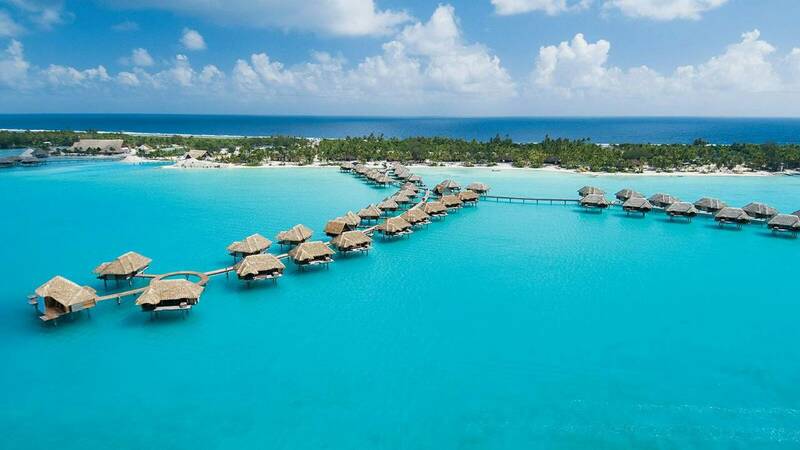 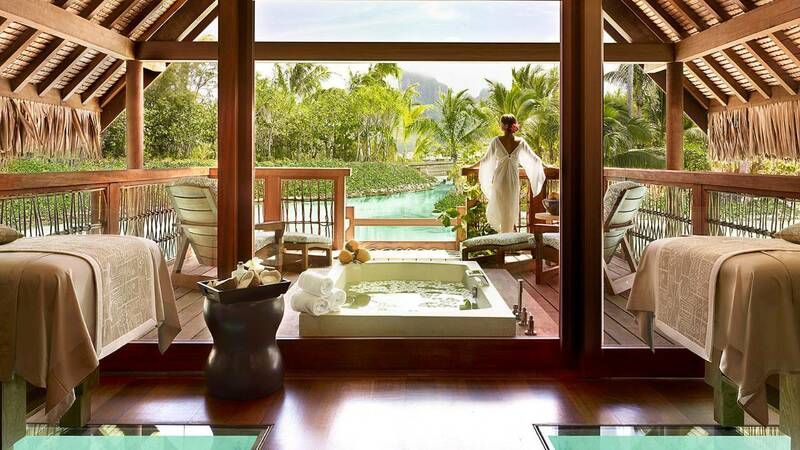 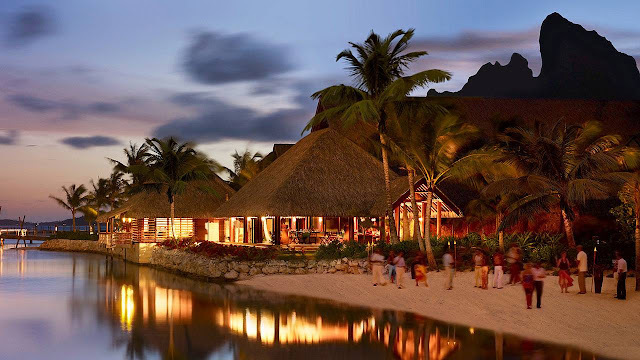 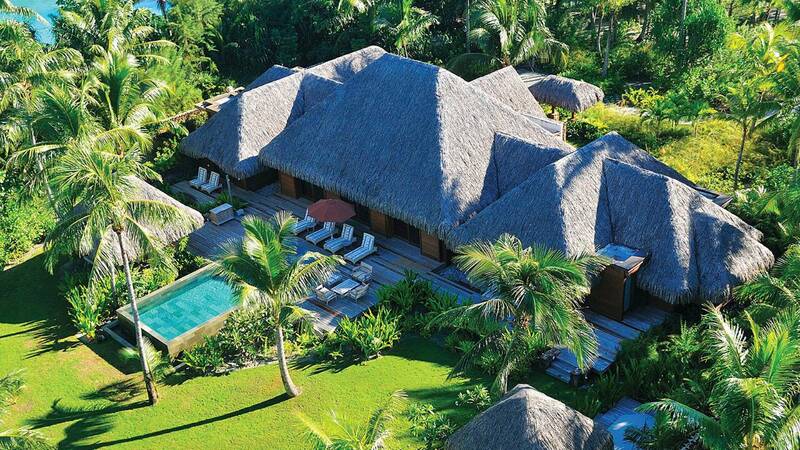 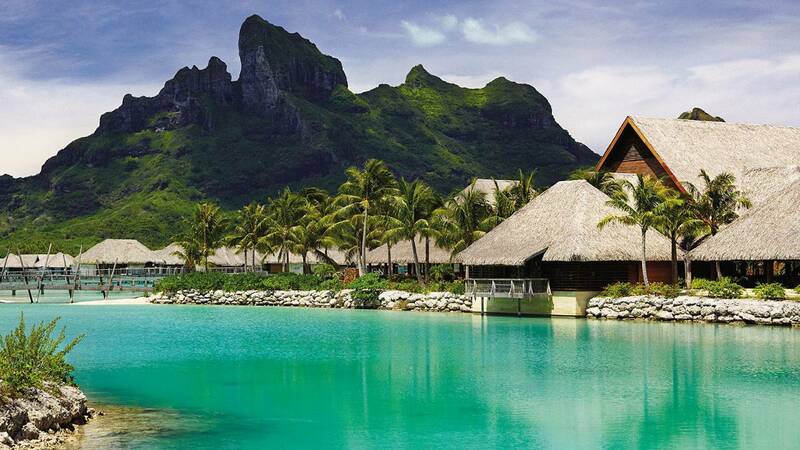 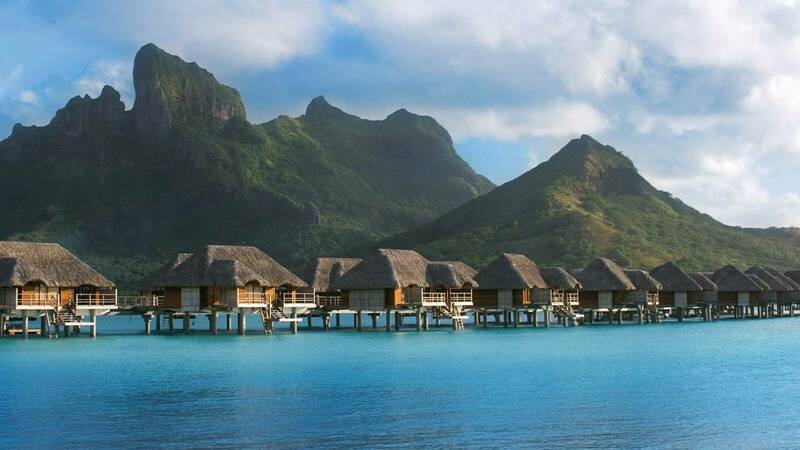 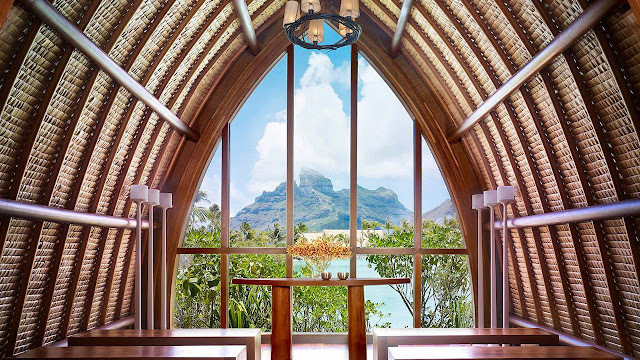 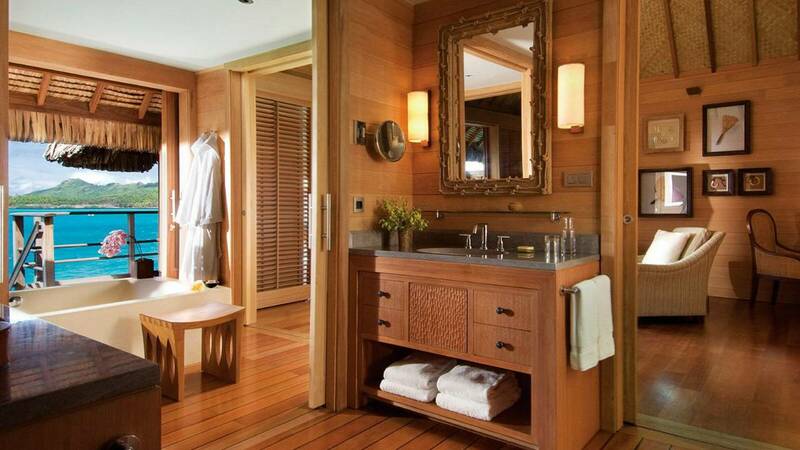 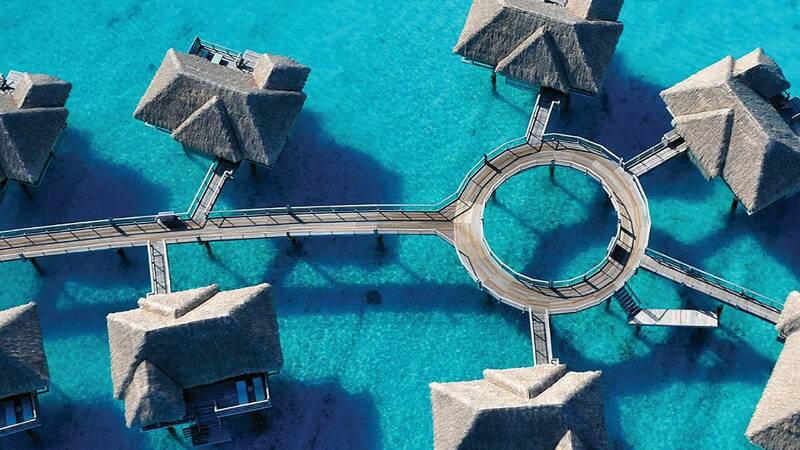 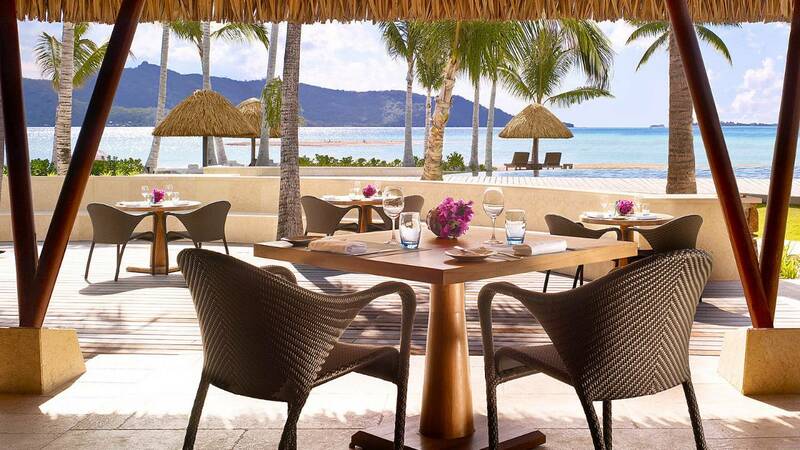 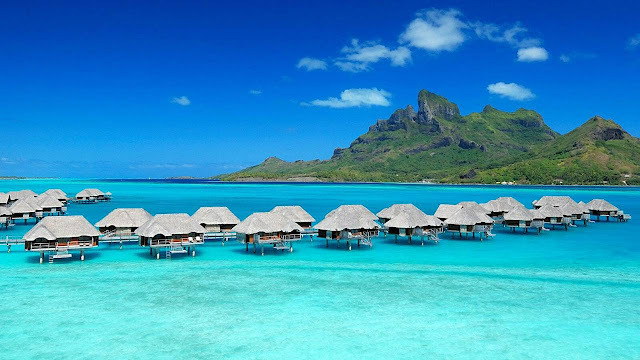 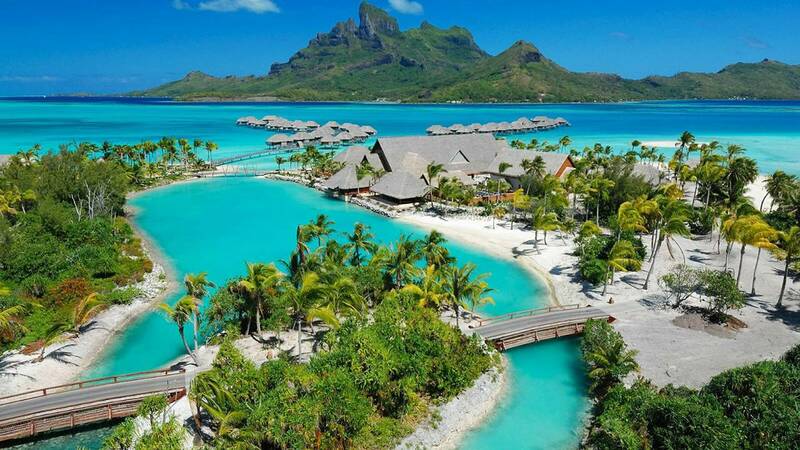 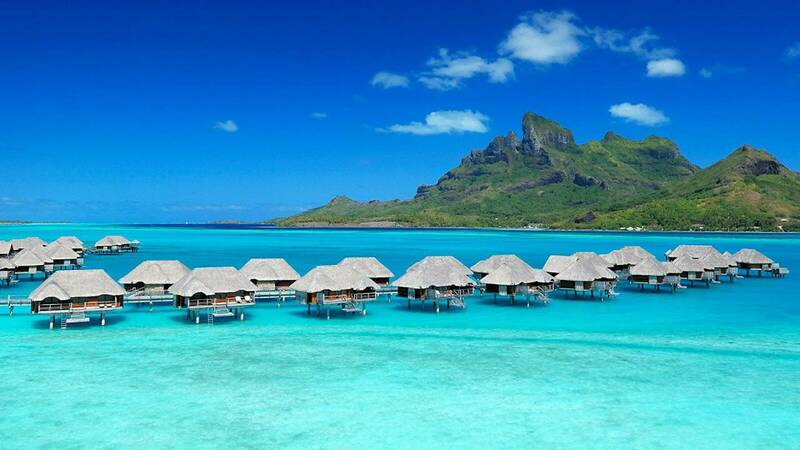 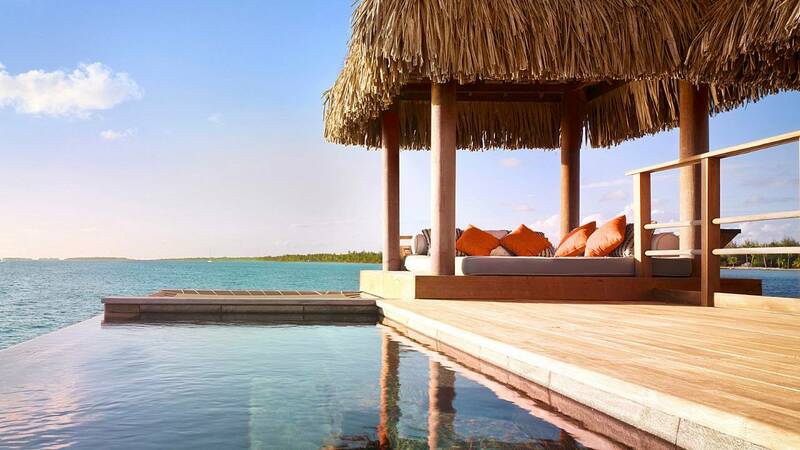 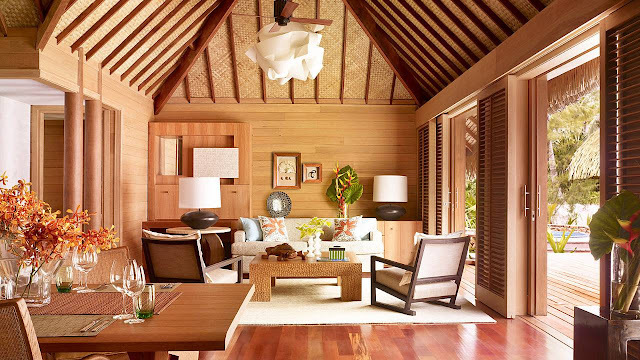 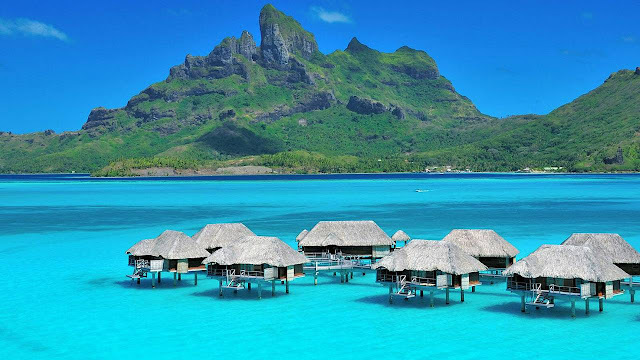 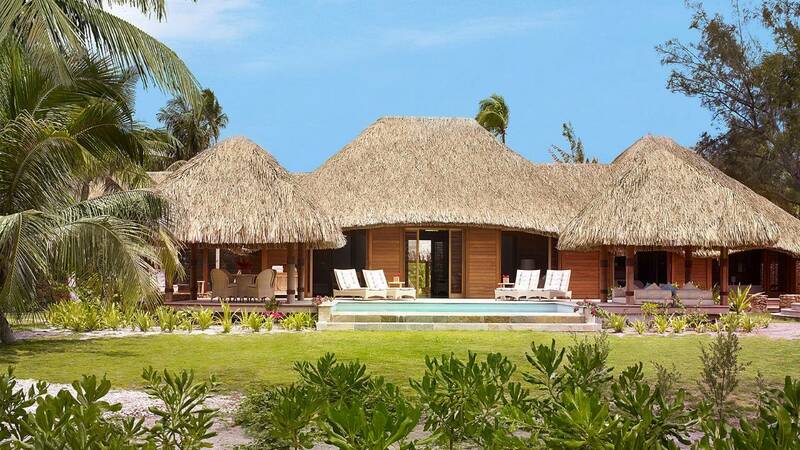 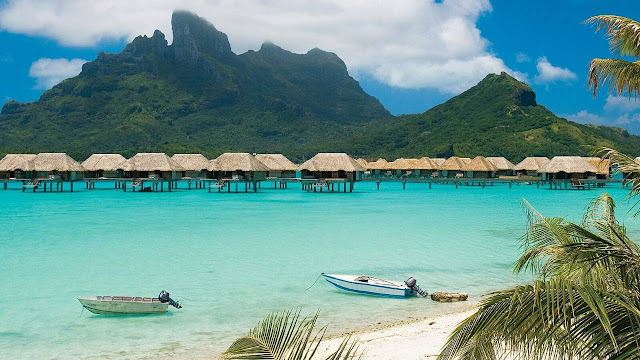 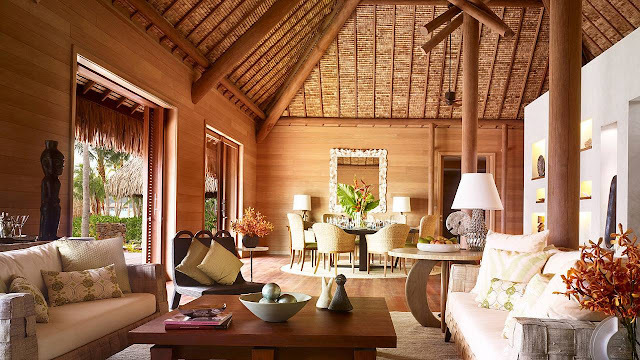 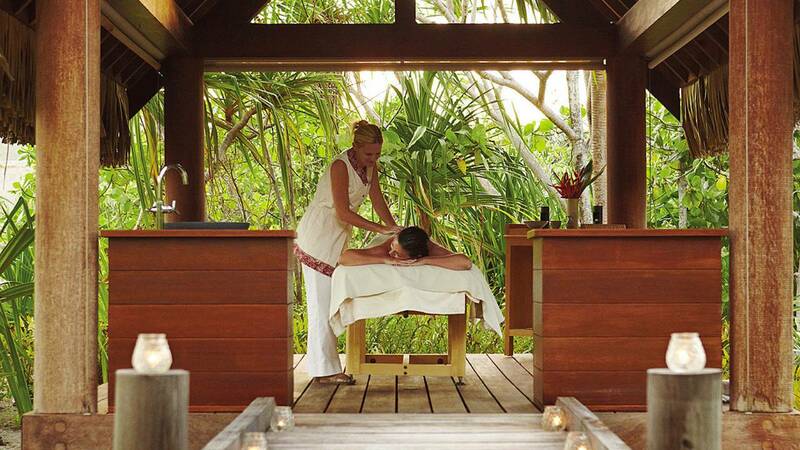 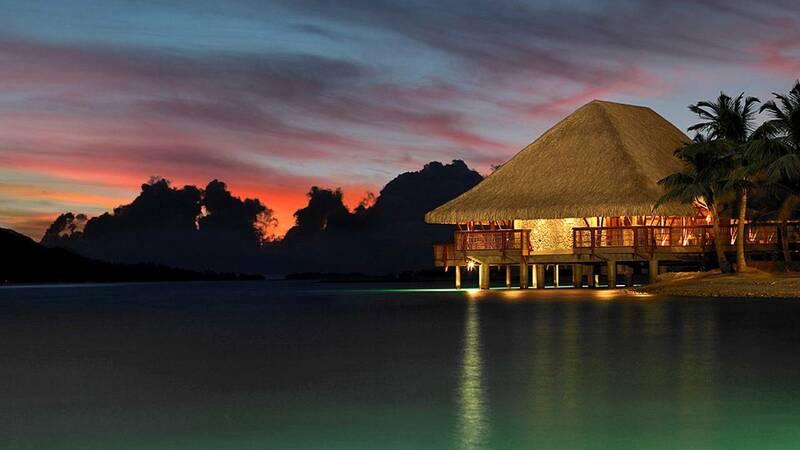 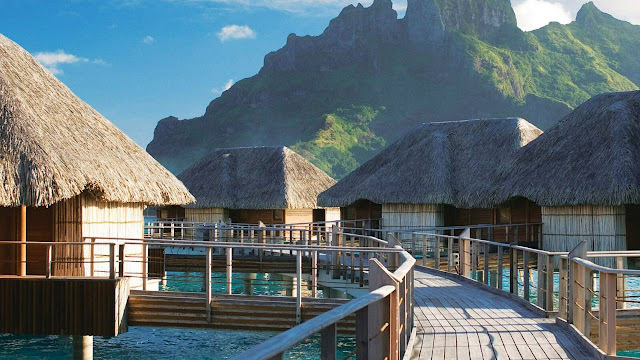 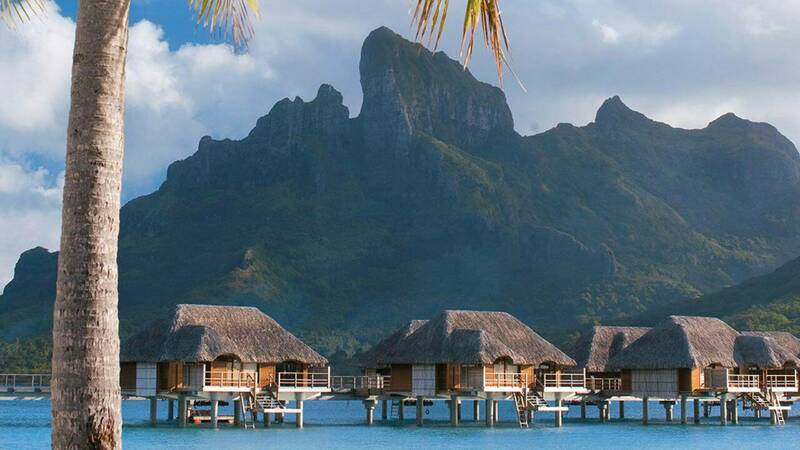 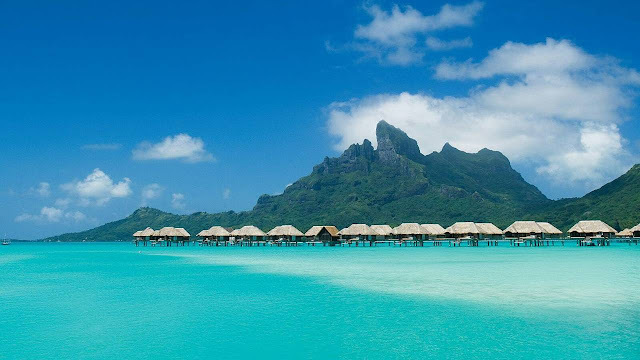 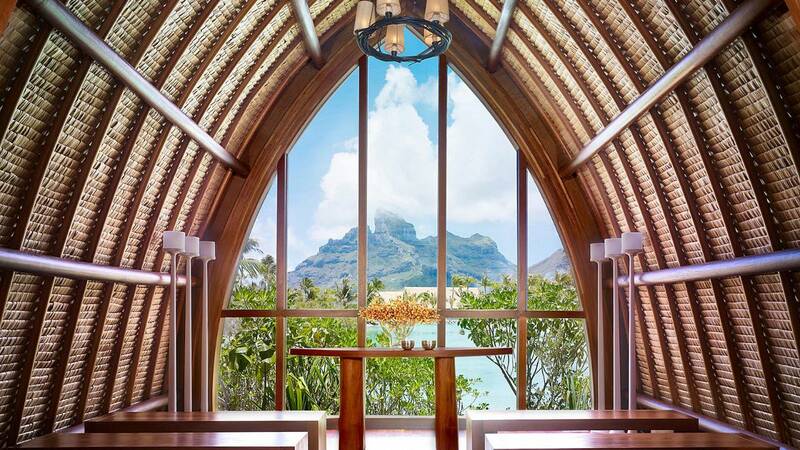 Four Seasons Hotel & Resort found its place in Bora Bora, French Polynesia's Leeward Islands. 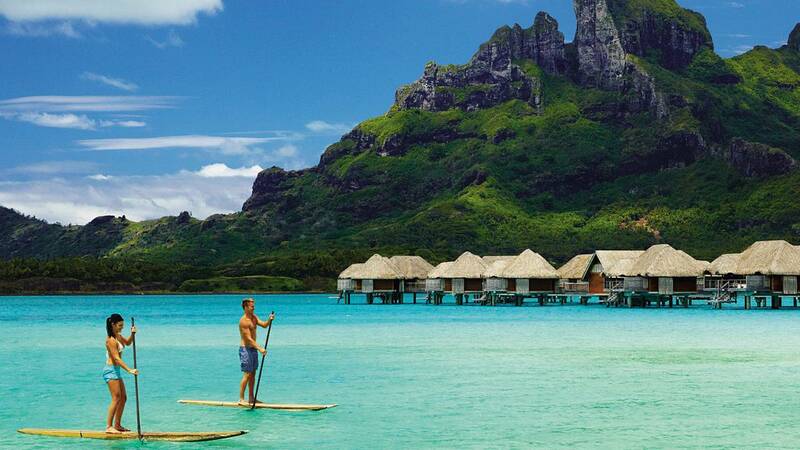 You will need only one way ticket to get there, because you will never want to leave. 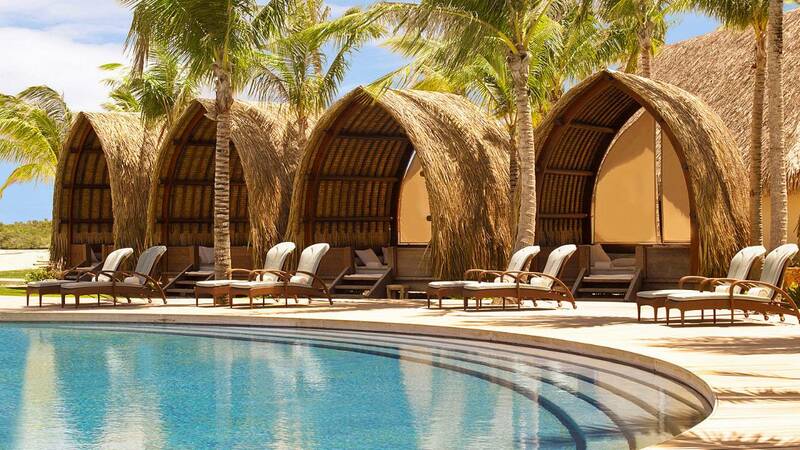 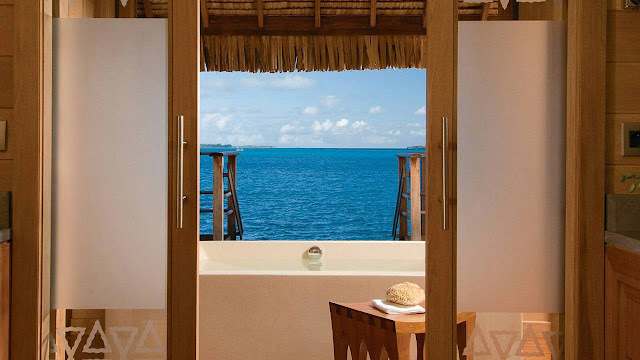 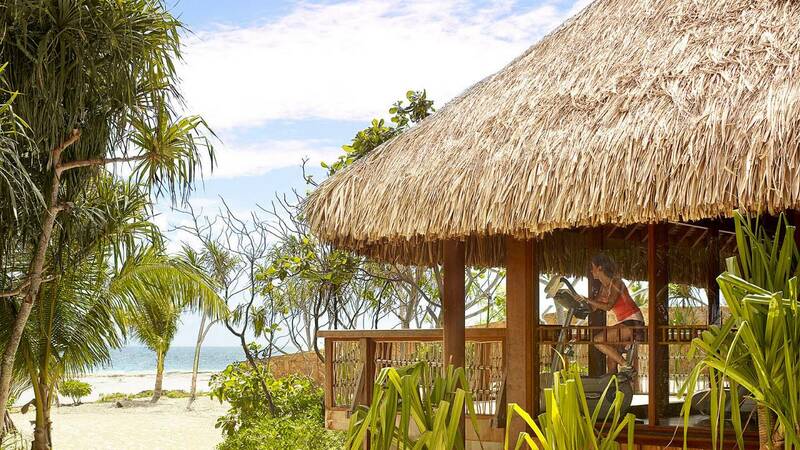 Just like many resorts, Four seasons is built to blend with nature, right on the coral reef. 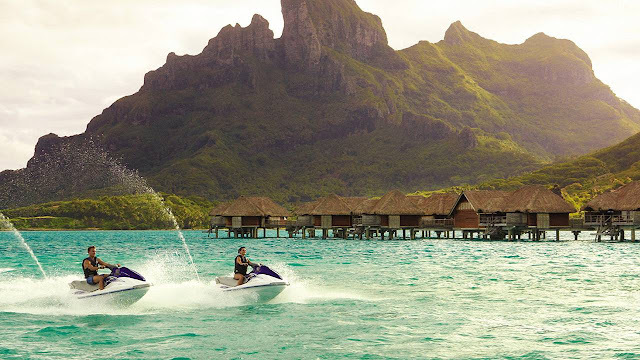 It offers cruises around the Tahitian paradise, trips to tropical Mount Otemanu and Mount Pahia, spa at the lagoon edge and much more.